To find sustainability and success, farmers need to mimic nature. Holistic farm management does not function without establishing goals and values that fit with the quality of life that a farmer is trying to accomplish. Holistic Farm Management is a decision-making agenda, which incorporates preparing for social, economic, and environmental issues. This is an essential tool for growing successful businesses as well as improving the health of the land. Most farmers are involved in planning for their farms almost every day. Holistic Management or Whole Farm Planning ties all the planning together for the entire farm. This holistic methodology is founded on the short and long-term vision for the farm. Farmers can adapt farming goals and actions to best fit the farm’s needs and preferences for long-term viability. Whole Farm Planning can also show the way for the protection and improvement of the quality of soil, water, and other natural resources on and near the farm. Holistic Management increases water infiltration and the retention of moisture in the soil by as much as 800%. Holistic Management producers increased organic matter up to 300% by taking more carbon from the atmosphere and placing it into the soil to feed the plants. By increasing land productivity, producers created more food from the sun’s energy. Farm management heals the environment and reduces erosion by improving wildlife habitat and increasing ground cover by as much as 100%. Every farm is unique. With Holistic Management the farmer can oversee that uniqueness successfully to improve the land and lessen risk while considering resources, which they can utilize to their benefit. The biggest challenge is that a farmer might have to change production practices that they’ve used for years, and for some, the learning curve is challenging. Yet, the results could be more than imagined. Holistic goal setting and decision testing of cause and effect tests if an action addresses the root cause of a problem, or merely a symptom. If a particular action is taken, will it lead toward or away from the resource base expressed in the holistic goal. Does this action address a vulnerable point in the life cycle of the organism that the farm is trying to control or advance? Another factor is whether the energy or money needed for this action is derived from the most suitable source in terms of your holistic goal; and will the energy or money that is needed lead toward the holistic goal? Another factor to consider is if there is another action that could provide a better return, in terms of the goal, for the time and money spent. Farmers didn’t get into farming because they like to manage numbers and money, but in order to be successful, money management proficiencies are vital. Farmers need to balance strong profits with healthy land, a happy farm family and a satisfying personal life. To develop a holistic marketing and business plan, a farmer must develop an inventory plan to effectively manage resources, using the farm’s goals and utilizing new ways to manage the inventory. A farmer will need to foster time management tools to improve labor efficiency and have a better understand of group dynamics, while improving the management of employees, interns and apprentices. To expand the effective implementation and monitoring of financial systems that work, farmers need to create strategies to increase profitability by utilizing a financial plan and determine the best project(s) for a profitable operation. They will need to explore the link between marketing, profit, and the cost of production. They have to determine best marketing strategies for the farm’s products and situation along with the additional resources necessary to address them. And most importantly, they should learn how to reduce stress throughout the financial decision-making process. Holistic land planning involves the four fundamental ecological processes of ecosystems, which are the water cycle, nutrient cycling, energy flow and community dynamics. There are three levels of organisms that regulate the flow of energy in ecosystems. These are the producers, the consumers, and the decomposers. They are organized in complex food webs. The soil food web is not a farming technique. It is basically the natural process which allows plants to grow when chemical fertilizers are not used. The soil food web denotes the microorganisms in the soil, such as bacteria, fungi, and nematodes, which remove nutrients from the soil and deliver these nutrients directly to the roots of living plants. By managing the soil food web on a farm judiciously, it can dramatically improve the plant growth in a very short period of time. This usually necessitates a one-time application of well-made compost or compost tea, supported by a change in management to protect the health of the soil organisms in the long term. Plants, algae, and some bacteria are the primary producers of an ecosystem. They use solar energy to produce organic plant material through photosynthesis. Decomposers process large amounts of organic material and return nutrients to the ecosystem in inorganic form, which are then taken up again by primary producers. Holistic biological monitoring involves changes in the landscape over time. These changes will be brought about by the proper care and management of the land. 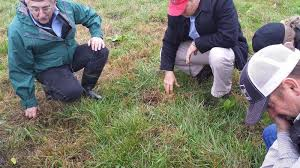 A farmer should know that one of the farm’s greatest assets is the land and managing that land can be demanding due to weather conditions, and environmental demands. Innovative farming will improve the land’s productivity, water-holding capacity, and wildlife habitat by regenerating the farm’s soil health. To do this, a farmer must understand and learn to identify effective ecosystem processes that increase resilience in drought to support the productivity of the land, while creating an infrastructure and development strategies to create more profit. Tilling refers to any major physical intrusion below the surface of the soil, such as plowing, cultivating, and roto-tilling. Tilling damages soil organisms. It’s even more troublesome than applying pesticides, fungicides, or other chemicals. With new procedures for controlling weeds, like well-timed succession crops, pasture cropping, livestock, mulch, and planting seeds with no-till seed drills, farmers are transitioning to no-till production. 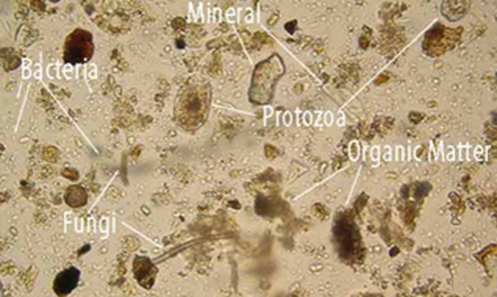 When land is not tilled, the soil organisms are able to create a healthy soil ecosystem. This has enormous benefits, including looser soil, increased nutrient availability and soil fertility, fewer soil-borne diseases, faster water-infiltration rates with less soil erosion and flooding. A healthy soil will actually increase in depth each year. The principles of holistic farm management include that the interconnections between the land, people, livestock, wildlife, water, etc. must be acknowledged. Rather than just looking at the economic or financial side of something, the ecological and social implications should also be considered. Many farmers fight nature but nature always wins. To find sustainability and success, farmers need to mimic nature. Holistic farm management does not function without establishing goals and values that fit with the quality of life that a farmer is trying to accomplish.